I can’t believe it has been over 18 years since my lung transplant and over 4 year since my kidney transplant! As part of my continuing Soul Food, I wanted to share a Fireside/evening talk I gave to the youth of our congregation last month who wanted me to talk about my life story. Thanks for reading! I am so humbled and honored to speak to you today. 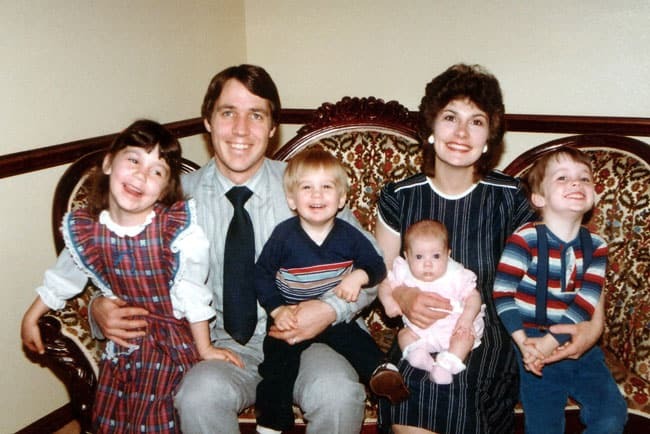 Today, I’m going to share some of my very personal experiences with you in hopes that you can more clearly see that your lives can be full of hope and happiness – come what may – if you strive to follow our Savior and his commandments. One of the greatest gifts of the gospel is our knowledge of the plan of happiness – knowing who we are, why we are here and where we are going. There are millions in the world today who would give anything for these precious truths because they give life meaning, direction and perspective. Not knowing is what causes all the problems and unhappiness in the world. 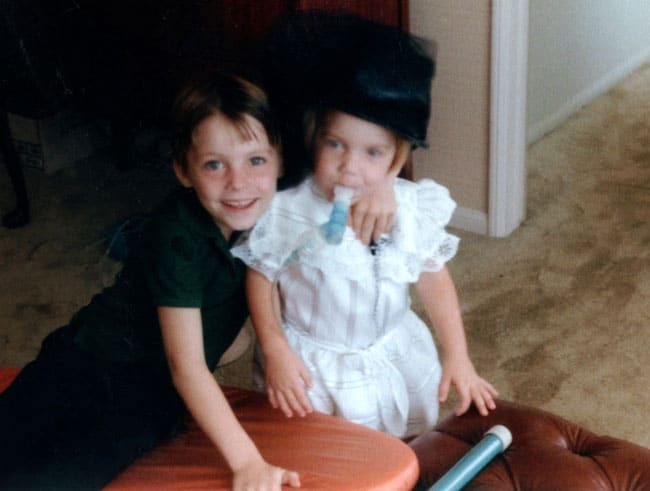 A stronger understanding of these truths – of who I really am – began at age thirteen when my full, deep breaths were replaced with the wheezing of tightened obstructed airways due to cystic fibrosis. 3 of the 5 kids in my family were born with CF. My older brother Justin, me and my younger brother Bryan. 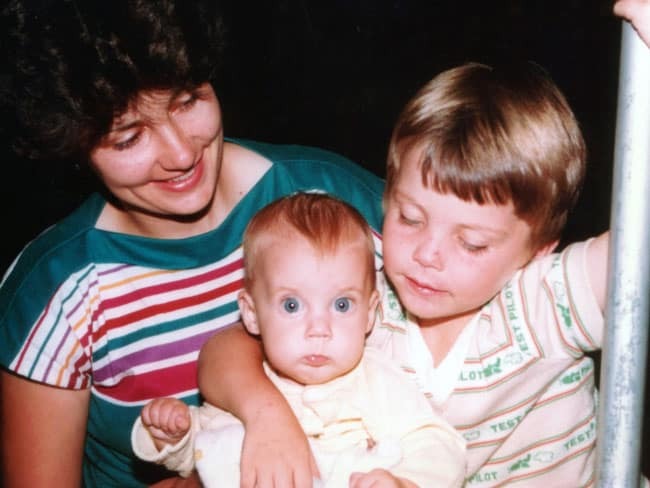 My older sister, Kim and my older brother Spencer were not born with the disease. CF is a disease which mainly affects the lungs and digestive system. 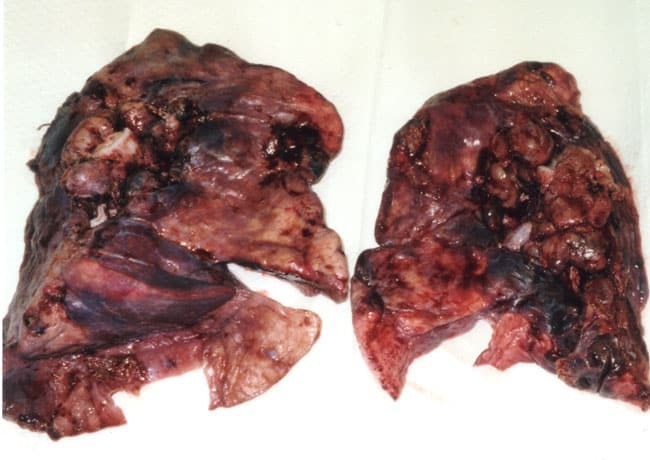 Individuals with CF produce extra thick, sticky mucus that blocks the airways, pancreas and other organs, causing lung tissue to become infected, and die over time so individuals to eventually suffocate to death. I grew up doing hours of breathing treatments – aerosols of antibiotics -both morning and night in hopes to try and thin the mucus and prevent lung infections and lung damage- followed by Chest Physical Therapy in which my parents would clap all sides of our chest to help loosen and cough the mucus up. Every day. Twice a day. 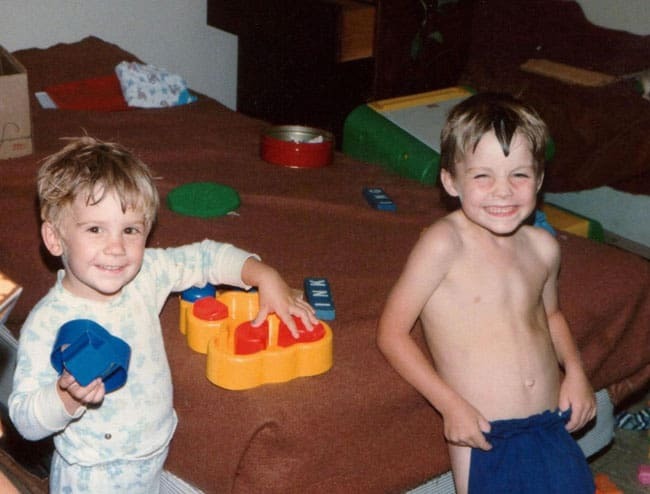 Even when we were babies, my mom would wrap us up like little peanuts in a large towel, pinning our arms alongside our ears in order to clap our chests on all sides. The aerosols, CPT and dozens of pills through the day were part of my normal routine just to try and stay healthy. 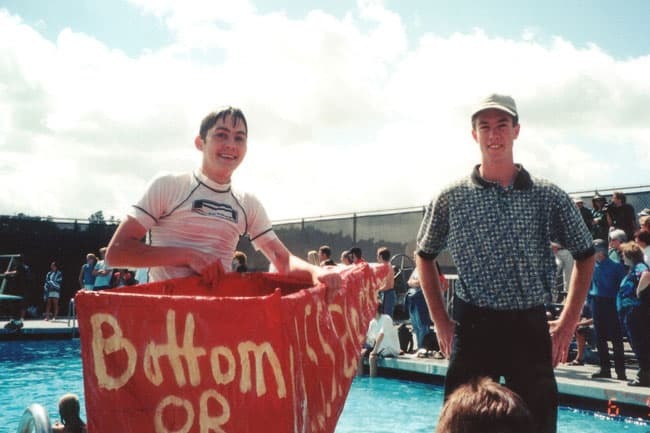 As I entered middle school, my breathing became more and more labored. I constantly had a tickle in my throat and would hold my breath in class and at church just to keep from coughing every second. Every morning and every night I would pray to “please help me not to cough so much.” By 8th grade, I could no longer run the full cross country for PE even though I had previously been one of the best runners in my class and even the pentathlete in our 6 grade Olympics. Family Christmas pic with me strategically hiding my arm with an IV. As my health involved more and more challenges and frequent seemingly endless coughing attacks, I was increasingly brought to my knees in prayer, seeking both strength and comfort. Many nights I would feel reassured simply after confiding in my Father in Heaven, knowing He was there, listening, caring. But on a handful of occasions as I called on my Heavenly Father with my shallow breath, He answered me with His deep, infinite and tangible love – a feeling of overwhelming peace and love. There was no room to doubt what I already knew: God is real. God loves me. I had nothing to fear. The knowledge of who I really am – that I am a beloved daughter of my Heavenly Father, He who controls this universe – and how loved I truly am – has shaped my entire life. 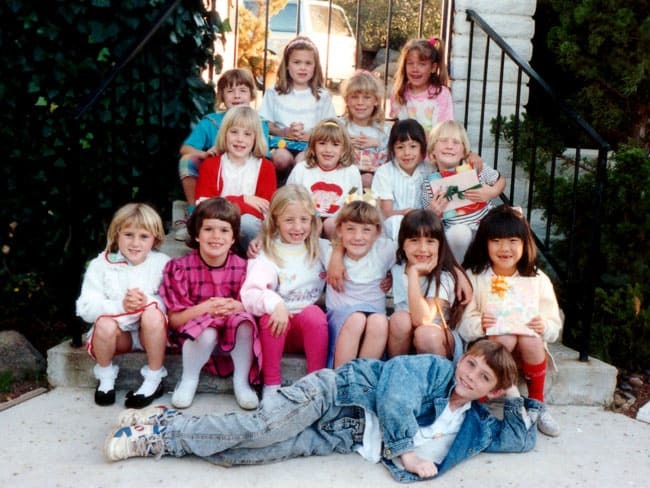 It started long before my health challenges, by attending church and reading my scriptures and learning to feel the spirit but the act of actually getting on my knees in meaningful prayer, and FEELING that I was a child of God has allowed me to trust my Heavenly Father and his will perfectly because I know He loves me perfectly. I know that much of your happiness depends on understanding who you truly are. Right now, you are in the thick of possibly the most confusing time in your lives. You are surrounded everywhere – school, friends, teachers, magazines, Instagram, TV, movies – everything bombarding you that you are not a divine son or daughter of God. BUT YOU ARE and you are SO LOVED just as you are. 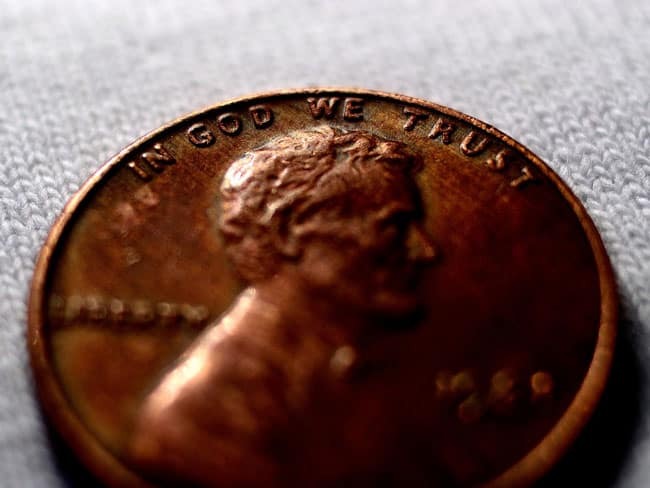 “It affects the way we behave, the way we respond to uncertainty, the way we see others, the way we handle pressure and disappointment, the way we feel about ourselves, and the way we make choices. In short, it determines how we live our lives. So the question we might all do well to ponder is not only who we are but who we have always been. 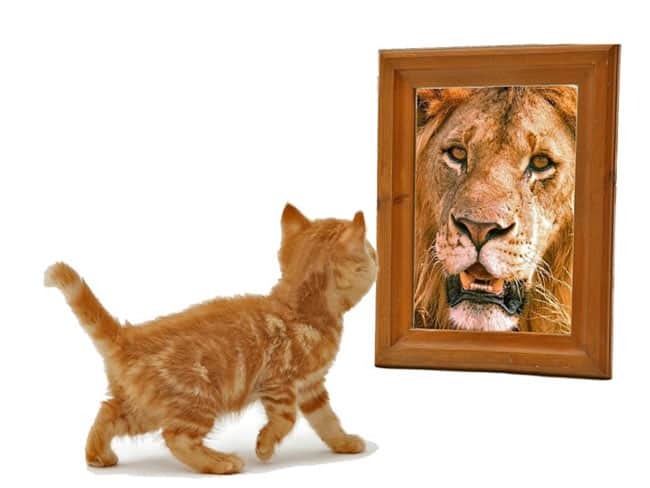 So ask yourself – how do you see yourself? Do you see yourselves as sons and daughters of God or are you looking in the circus mirror? 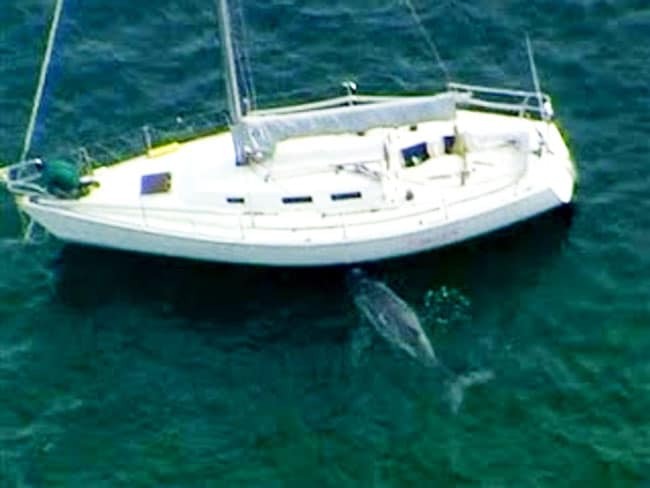 Like the whale, If we mistakenly look to the world to feed our identity, we will spiritually starve. We will never be enough. And life will be so much HARDER! I believe nothing will have a more profound affect upon your lives than truly knowing and believing that you are sons and daughters of God. I know God’s arms of fatherly love are waiting to embrace every single one of you but you have to SEEK after him through prayer and scripture study. Once you hear the voice of the Lord – or feel it- you realize no other voices matters. One of the greatest example in my life of seeking the Lord is my older brother Justin. 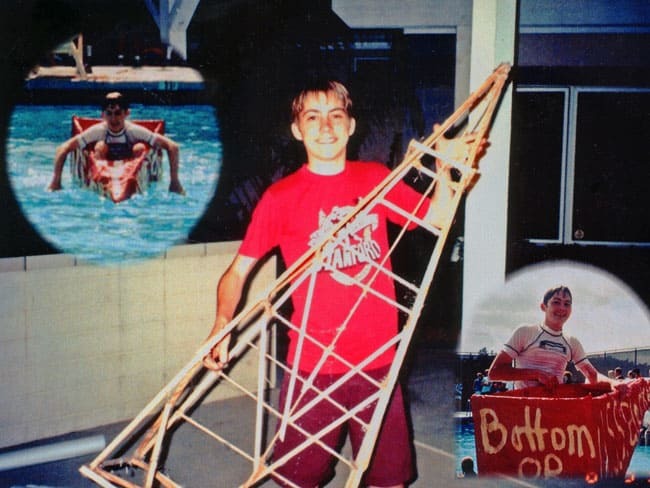 Despite his cheerful quick wit, Justin was dying due to cystic fibrosis at the age of 18. Justin had been hospitalized a couple times a year for IV antibiotic “tune-ups” since he was 6 and was always coughing. His senior year, he was now doing home IVS and required oxygen while he slept. Still, he continued his senior year in his typical optimistic fashion and made having CF look easy. 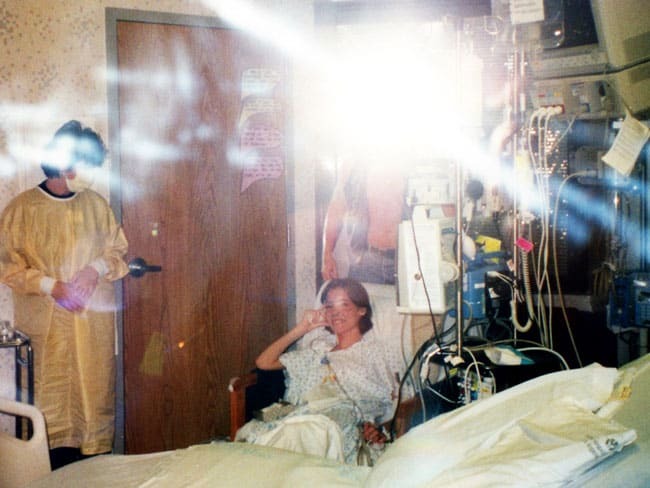 With a PICC line in place (an iv that runs from your vein to your heart that can last indefinitely), he would gather up his IV paraphernalia, hang the IV to drip form the rear view mirror of his car and embark on the next adventure from church dances, to paint-balling, to dirt bike riding, to buffet feasting. Justin and I both enrolled in physics during our senior year. 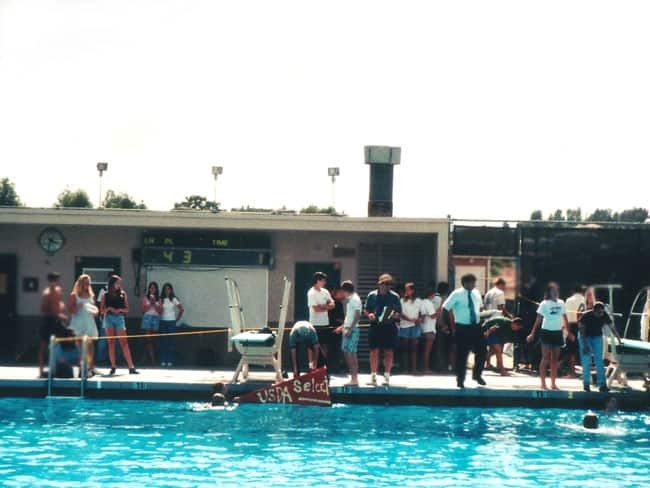 To keep a good grade in the class, or at least my grade, we partnered in a competition to build and race a cardboard boat in the high school swimming pool. Of course, we waited until the last night to build it. We both worked frantically into the late evening to throw our haphazard design together. Even with his diminished health, his determination exceeded my fatigue. I fell asleep on a floor mat while he finished the boat through the night. As always, although this time quite literally, Justin was determined to swim as opposed to sink. The name of the “U.S.S. 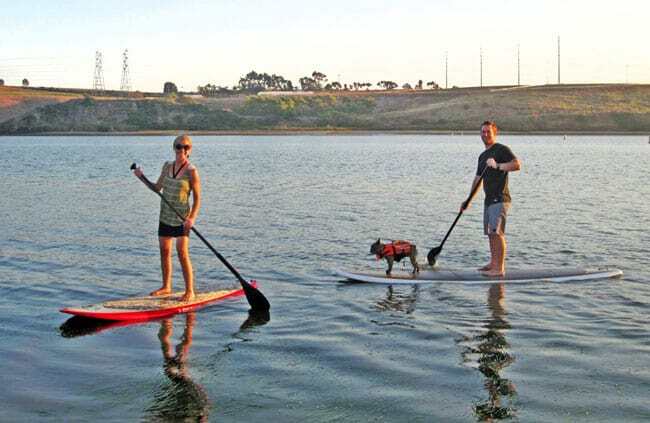 Slacker” embodies Justin’s sense of humor – the paddling of the U.S.S. slacker embodies Justin’s courage, determination and zeal for life. He was determined to keep paddling despite whatever waves came his way and despite his half sinking ship. 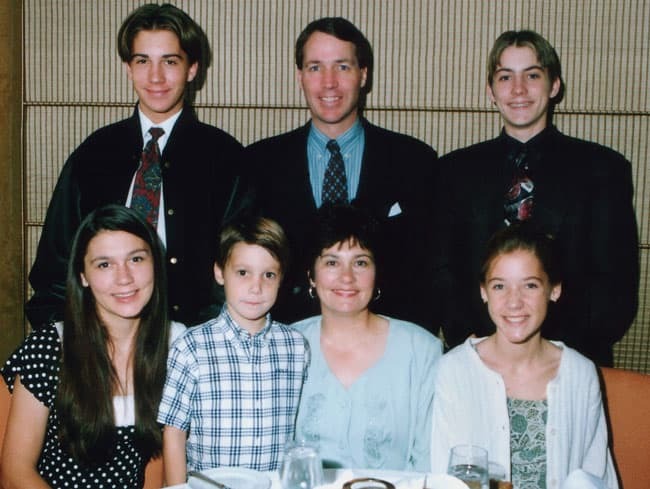 At age 18, Justin was a young man who knew his health was failing. He could have spent all his energy indulging in self-pity, worry or resentment, counting every breath as his body slowly decayed. Instead he spent his days uplifting others…. Justin was a model of quiet dignity. I would spend hours and hours in his room scratching his back and just talking. In all our talks, Justin never EVER uttered a negative word about having cystic fibrosis. How often we pity ourselves and even parade our pity over matters that aren’t life or death. Justin’s testimony of Christ not only encouraged him to endure all with dignity and a sense of humor, but allowed him to do so. At age 19, accompanied by angels, Justin met God face to face. There is no greater accomplishment than that. One of the hardest lessons to accept is that despite our prayerful pleadings, not all of our struggles will be resolved soon, or in the way we want, or even in this lifetime. We can choose to be like Laman and Lemuel and fall victim to Satan’s feelings of anger, bitterness, discouragement and helplessness or we can choose to continue to exercise even greater faith and trust in our Heavenly Father’s love, wisdom and plan for us -his PERFECT plan for us because of his PERFECT love for us. We may not always get the outcome we hope and pray for, but we will be blessed with tender mercies along the way. 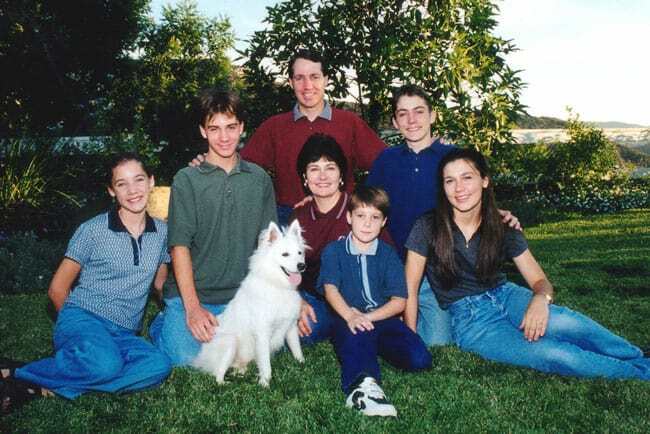 As we look back on Justin’s passing, there are numerous tender blessings. 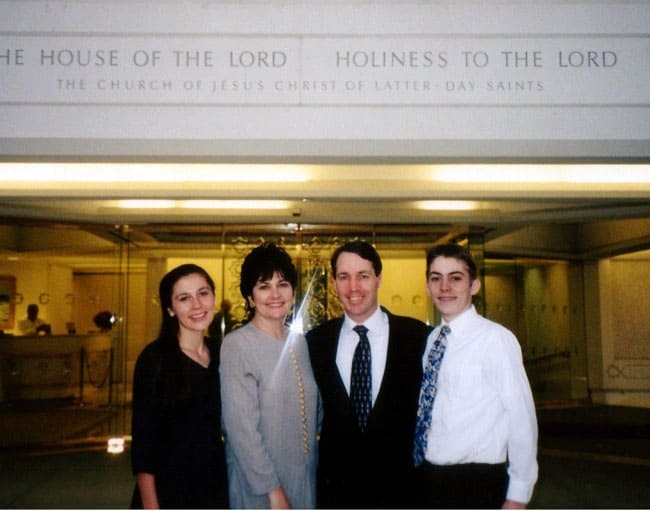 From my Justin being able to serve a temple mission early at age 18 which allowed him to attend my sister’s wedding just a few months before he passed away. The timing of her wedding itself was a tender mercy as she always wanted to go on a mission but instead, through the spirit, she actually proposed to her husband. 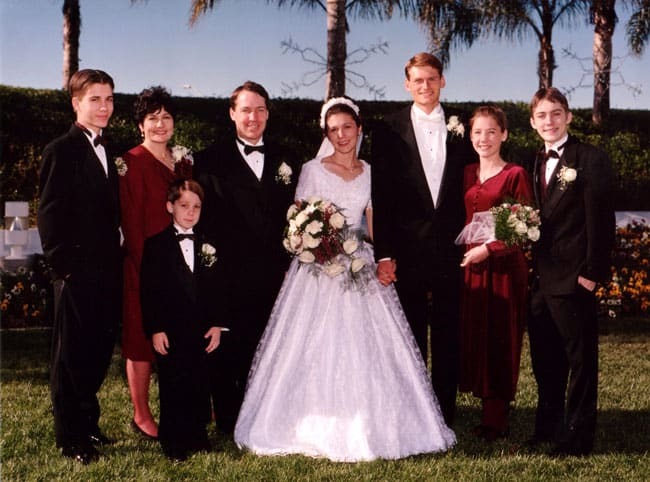 Because of the early timing of their marriage, not only was Justin able to share in their temple marriage, but his cheery grin was captured in all their wedding photos and videos. 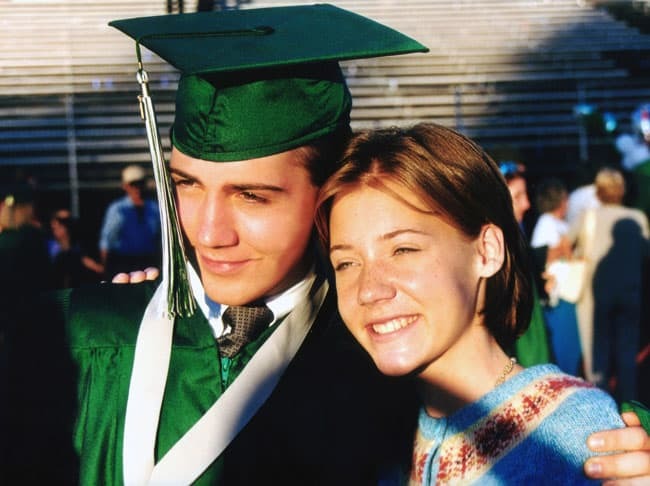 If they had set their wedding date a few months later, it would have been a time of grieving instead of celebrating. Because Christ suffered for us individually, He understands us completely, loves us unconditionally, and knows how to succor us perfectly. I have a testimony this is true as Jesus Christ, has become Jesus Christ my Savior as I have fallen at his feet and wept again and again and again. I could not have made it through my challenges without Him; and now I feel I can make it through anything because of Him. I know he is waiting with outstretched arms for each and every one of you. 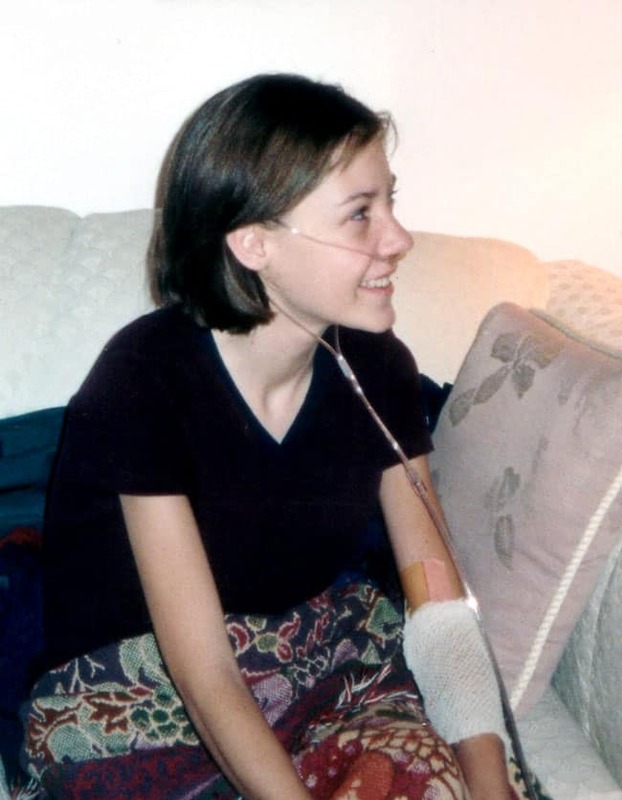 A year after my brother’s death, my sophomore year of high school, the end stages of lung destruction brought on by cystic fibrosis put me in a downward spiral. I went from attending 6 classes at Poway High, often with an ace bandage covering my IV pic line that I would do at home to attending 5 classes to 4 to 3 to none at all. At age 16, I was dying. I was on constant oxygen, constant IV antibiotics, throwing up constantly, no appetite, almost continual 102-104 fevers a day and so weak I’d have to brush my teeth in bed. After Justin died, I told myself that if my behavior ever mirrored his, then I would know I was dying. I reminded myself of this but I still couldn’t accept that death is what came next. How could I be dying when my mind was still so alive? My day-to-day routine was not so bad; but some days, the accumulative effect of not seeing any improvement and not being able to do anything for myself, would cause me to cave. I tried not to let my family see me cry so it was often late at night when the tears would quietly and freely flow, bringing me to my knees…in bed. With swollen eyes, I would plead for strength—in both mind and body. I learned that faith, hope and gratitude chase away the despair and negativity that come with adversity – they simply can’t coexist. I cannot comprehend a greater blessing in life that – be filled with peace and hope every step of the way. To have nothing to fear, even death! This blessing of peace is available to every single one of you if you choose to seek after Christ. I was too ill to wait for a cadaveric lung transplant (transplant from a brain dead individual) and so a living donor lung transplant was pursued. Everyone has five lobes that constitute your two lungs – three on the right side and 2 on the side of a heart. 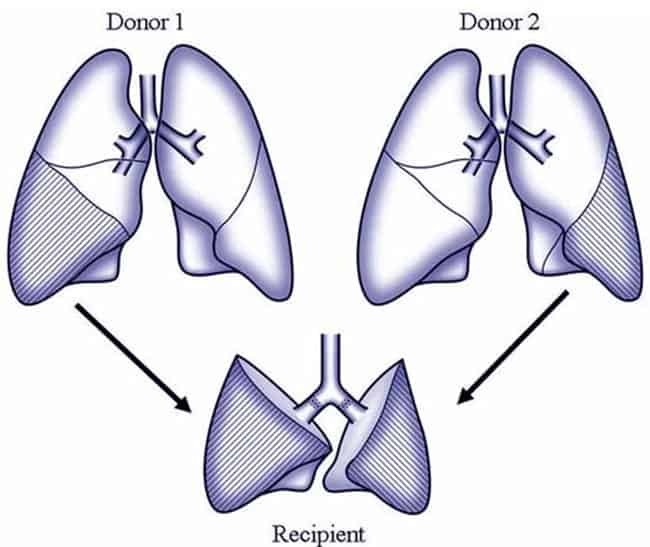 In a living lobar lung transplant, all 5 lobes are taken out of the patient and replaced with the bottom lobe from two donors. 1. 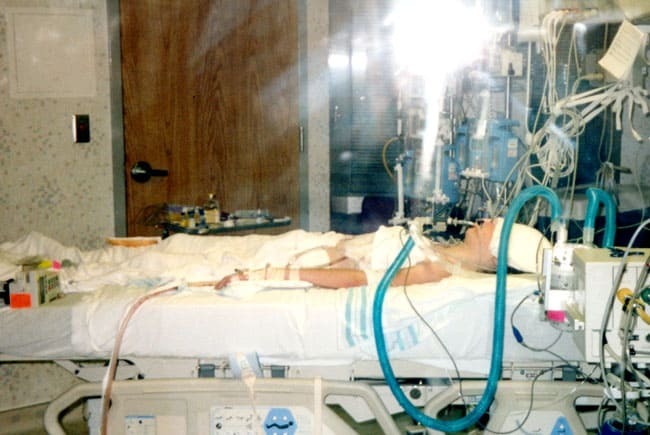 One of the main reasons Justin could not receive a living lobar transplant because both he and I have a bacteria called bulkhederia cepacia that only 3% of CF patients have. It is a nasty bacteria that was resistant to all known antibiotics so no hospitals at the time would agree to perform a living lobar transplant on anyone with cepacia. It was around this time that my dad recalled (obviously through the spirit) a conversation with a doctor who said their colleague was developing a drug to combat cepacia. 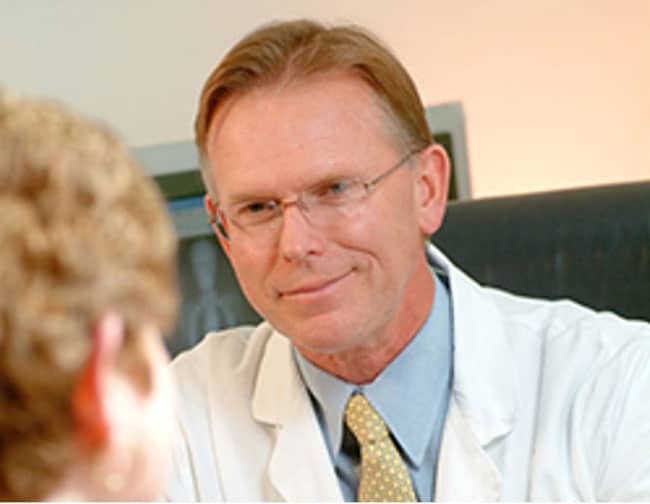 My dad pursued the lead until he was able to talk to the researcher himself, Dr. Montgomery. Dr. Montgomery said the research was still in early stages and would take several years before there would be anything available. My dad pleaded, “I don’t have several years and may not have several weeks.” He then asked Dr. Montgomery a poignant questions, “What would you do if you were me and had lost a son to this disease a year ago and were about to lose your daughter?” The doctor paused a l long time and said, “I would call Dr. Peter Cooper in Australia. Dr Cooper explained the process of mixing already an FDA approved drug for intravenous use with saline and inhaling it. My doctors immediately prescribed the medication and my next tests showed ZERO traces of cepacia. 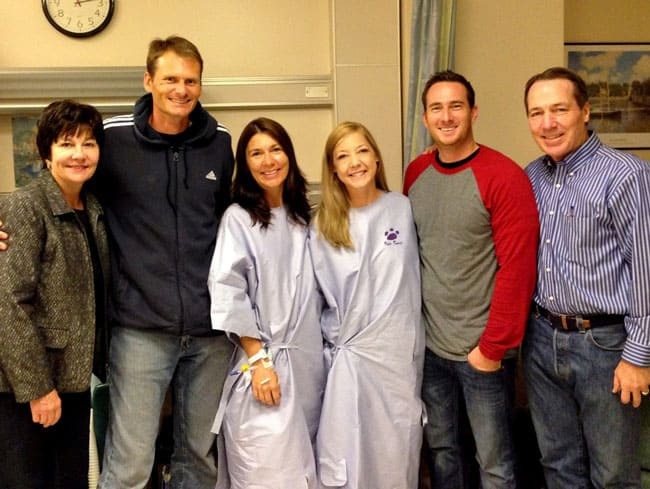 A mystifying miracle to the doctors so they agreed to move forward with the transplant. This exchanged proved providential as it was Dr. Starnes who asked about me at the next transplant board meeting where they determine which transplant patients they will accept. I was so sick and such a bad transplant candidate, that the board wasn’t even going to bring up my name for consideration. It was his own policy to not operate on anyone with cepacian but because he had met me, It was Dr. Starnes insisted he perform the transplant. 3. None of my immediate family members qualified to become my donors as you have to be tall and be the same blood type. Word quietly leaked out of my situation, to my humble, grateful awe, over 30 family and friends stepped forward to become donors. It is a dangerous and painful surgery because they have to break the ribs in order to get to the lower lobes and there has even been one donor death. Even still, we finally had 2 donors who had passed all the tests up until the last round when they were disqualified in the final rounds of testing due to obstructed or asthmatic airways. But in the meantime, my two donors had been being prepared because they were living their lives worthy of the Spirit. My first donor, Graham Bullick was my Bishop at the time had had a prayer in his heart to help my family after my brother passed away. As he returned from hiking to the base camp of Mount Everest and was in the best physical shape of his life, and capable of saving mine, he had powerful prompting to step forward. My other donor, Jim Davies, called my dad and told him he was ready to be a donor but my dad politely declined as we thought we were all covered at the time. But Jim felt that he was supposed to be a donor, so being doctor, he was able to get all of the preliminary testing done within a day so that when the other donors who were lined up were disqualified and we were down to the wire, Jim was already to go. I am breathing today, alive today, and forever grateful today because these two faithful men lived worthy to feel the spirit and the courage to follow it. After many scary ups and downs (including a time when I heard the doctor say, “who wants to tell the parents – and then they returned and I heard, “the mother was the stronger of the two) After a full week after my transplant, I finally stabilized and was taken off the ventilator that had been breathing for me. My mom asked, “can you feel a difference?” I eagerly inhaled deep breath uninterrupted by deep coughs for the first time in years – and crumbled into a puddle of tears. And soon my entire family and all the nurses were bawling with me. The weight of my donor’s sacrifice became even more real as I sat inhaling and exhaling with lobes from their lungs – it had been years since I had breathed deeply, year since I breathed without coughing, years since I breathed without hearing my own breath. When my donors visited me at the ICU and I gazed at their smiles through the glass, I was overcome with awe and tremendous gratitude for their sacrifice. 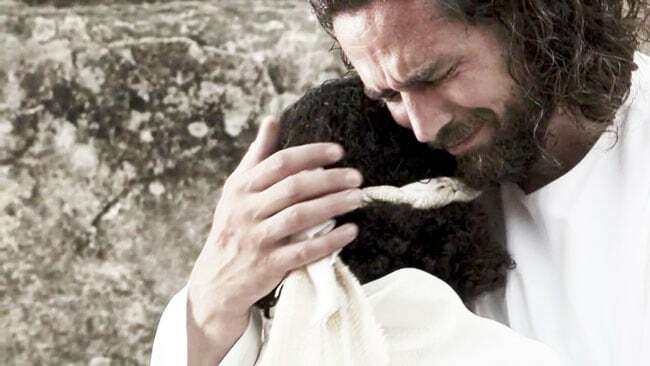 It is indescribable to express what it feels like when you are so helpless, can do nothing for yourself and someone steps forward and says, “l will do that for you.” They have given me a greater appreciation for the atonement and Christ like service as I have tried to live my life worthy of their sacrifice. I was in the hospital for 6 weeks and 2 more months afterwards staying nearby the hospital in LA. 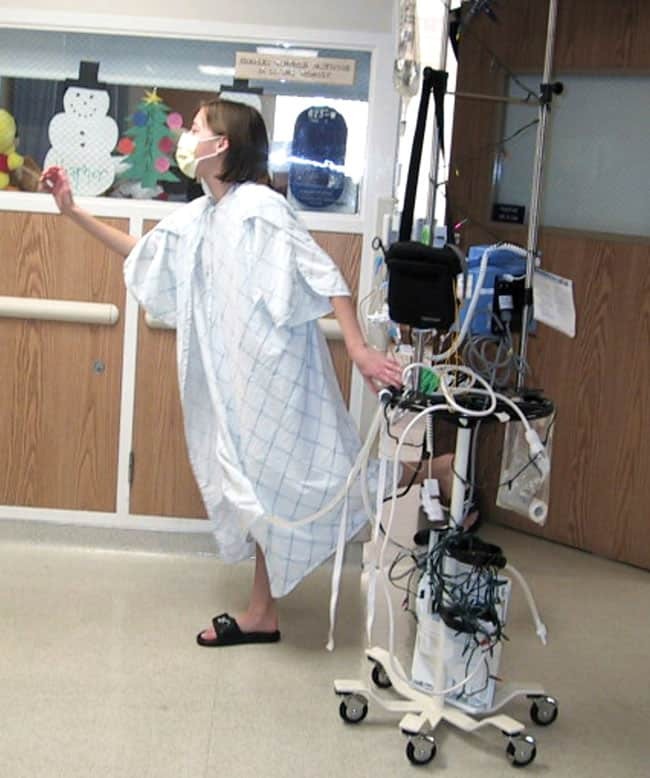 Much of my recovery involved exercising my lungs, so I’d get all suited up with a mask, gloves and a gown and hold my 4 larger chest tubes so they didn’t pull and walk around the floor, with my walk man and or a family member. We celebrated Christmas at the hospital with my IV pole wrapped in twinkling lights. There will never be a more memorable or meaningful Christmas. I am so grateful every day for my ability to breath. If you want to truly be happy, be grateful for all the big and small things in your life – like your ability to breath. I strongly believe you will only be as happy as you are grateful. A favorite proverb of mine reads, “I complained because I had no shows until I saw a man who had no feet.” No matter how bad things seem, we have everything that matters. We have an infinitely loving and merciful Savior who suffered for our sins so that we can repent and live together forever with our families. With this knowledge, we have all that matters. After my lung transplant, things have not been smooth sailing. In fact only 17% of lung transplant patients survive for 10 years. I have actually been hospitalized more times after my lung transplant – over 20 times – than before my lung transplant because I am immune suppressed so my body doesn’t reject my lungs and still have cepacia in my sinuses that causes pneumonias. I have also experienced 4 acute lung rejection episodes, was diagnosed with diabetes 4 years after my lung transplant due to CF, as well as many other problems and surgeries I won’t bore you with. Through these ups and downs, one thing is constant. I know that we can be filled with peace as we follow the commandments because we are doing everything we are supposed to do. If we are striving to follow the Savior, we can be blessed with confidence in the outcome and that one day everything will all make sense and will all be made permanently right. The greatest reward of living a righteous life and following the Savior is my dear husband Patrick. As I dated in college, I never dated anyone very long, because the spirit would tell me they weren’t for me, and I would listen and break up. Such was the case the very day Patrick saw me for the first time. Although no words were exchanged between us, that very same day, I followed the promptings I felt to break up with my serious boyfriend. So I did. Our first date was actually while I was in the hospital. My dad covered for us while I was in between IVS and we made a “jail break’ to a Japanese restaurant. 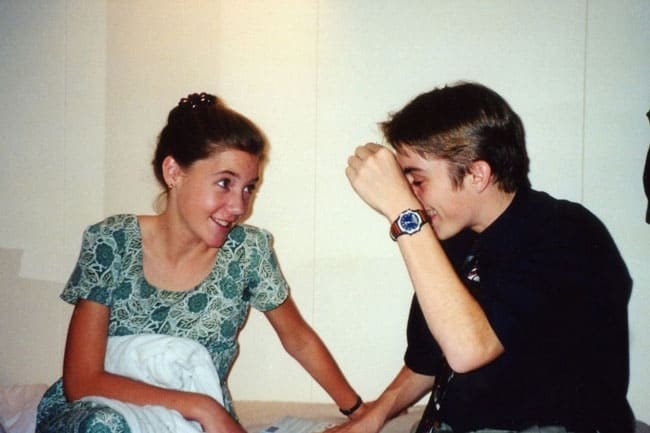 At this point, I turned the time over to Patrick to share how we met and his side of “our story.” You can read “Our Love Story” here. I had never known if I was going to get married but I had always known I wasn’t going to settle for anything less than my soul mate. Sweet, fun, pure Patrick, in addition to my own happiness, was incomprehensible. I still pinch myself that we are blessed enough to spend not only this life together but eternity. 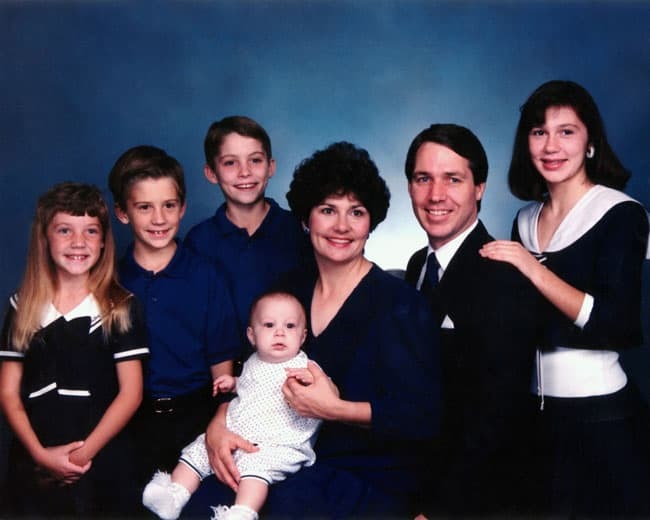 When my dad visited with Patrick privately before we were married, he asked Patrick if he know of the high risk situation he was facing and if he was prepared to have his heart broken. Patrick reiterated that it does not matter how long we had in this life as long as he had me forever. I know Patrick and our fun, sweet marriage is a direct result of living the commandments and following the Savior. There will always be challenges in life, but there will always be tender mercies – and Patrick the greatest one of all. 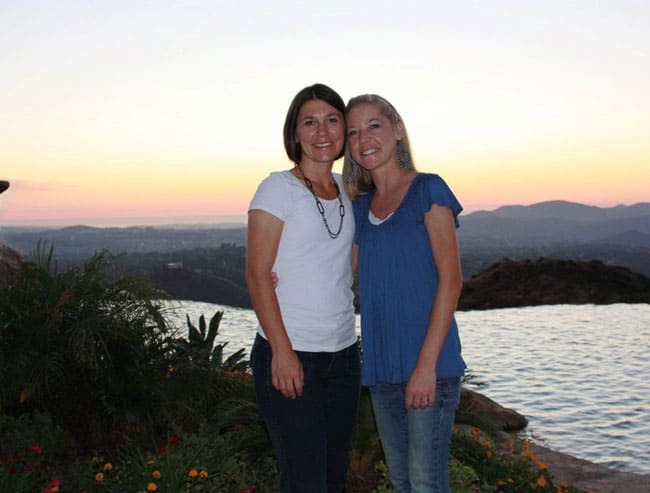 In 2013, I was again blessed by the selfless sacrifice of others when my older sister donated her kidney to me. 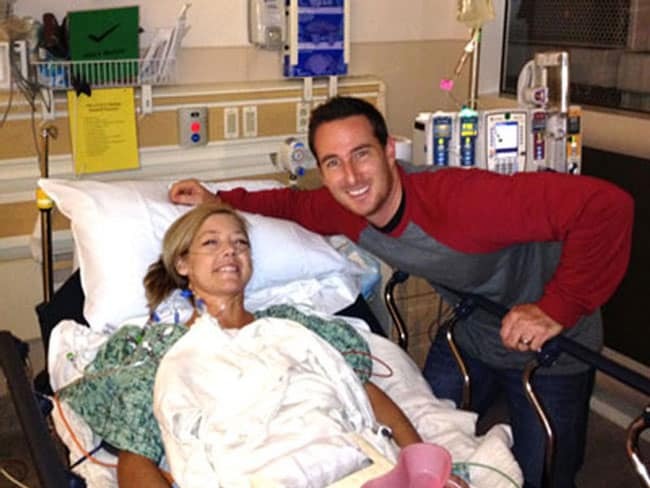 After I received my lung transplant, I always knew I would eventually need a kidney transplant. The life-saving immune-suppressants I take twice a day to prevent my body from rejecting my lungs unfortunately cause damage to the kidneys over time. 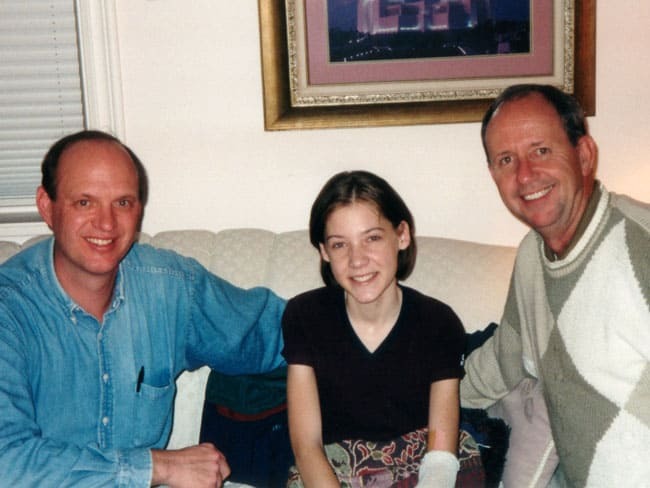 While I waited through the kidney transplant donor approval process, my legs and feet became so swollen that I could no longer fit into any of my jeans so I had to wear skirts all the time, and I could only squeeze my feet into one pair of sandals. I had to sleep upright or all the extra fluid would accumulate in my face – one time my head slipped and my eye was swollen shut the next day. I also was on an extremely limited diet because I couldn’t eat any phosphorous – which is in everything. In addition, I was absolutely exhausted due to severe anemia. As uncomfortable as I was, I was filled with peace. I didn’t know how everything was going to work out but I had a calm assurance that I was in the Lord’s hands. And this time, it wasn’t life or death. Again, as in every time we are asked to do hard things, there are tender mercies along the way, one of which was my appendicitis. It was 2:30 am when I finally let Patrick take me to the hospital after hours of piercing pain that had me curled on the ground. I remember he popped out of bed and said “finally” and may or may not have made it to La Jolla in 15 minutes. Now you might not see appendicitis as a tender mercy, but if I hadn’t had my appendix surgery before my kidney surgery, then the pain could have been confused for something else after my kidney transplant and my new kidney would have been in the way (they place your new kidney here) and there could have been a host of complications. In addition to removing my kidneys, the surgeon removed 1 1/2 liters of fluid from my stomach; the fluid had just been hanging out with nowhere else to go…1 1/2 liters! Another tender mercy was that both my mom and my sister felt prompted to donate their kidney. During my mom’s CT scan, a splenic aneurysm was detected that would have to be surgically removed within a few weeks. My mom’s grandma had died at the age of 45 of an aneurysm that burst so it was a tender blessing that the aneurysm was detected. I was also blessed with incredible family and friends that were so willing to donate their kidney to me. Even my lung donors, both Jim and Graham offered me a kidney. Graham left me a voicemail that brought me to tears as he expressed his genuine desire to donate his “big healthy kidney” to me “that [he] didn’t need.” You might think these men would be tempted to put a big check in the “service box”, or at least in the “donate organ” box after donating a lobe of their lungs to me and saving my life. Yet that is just who they are. Christ like, selfless, compassionate, and courageous. 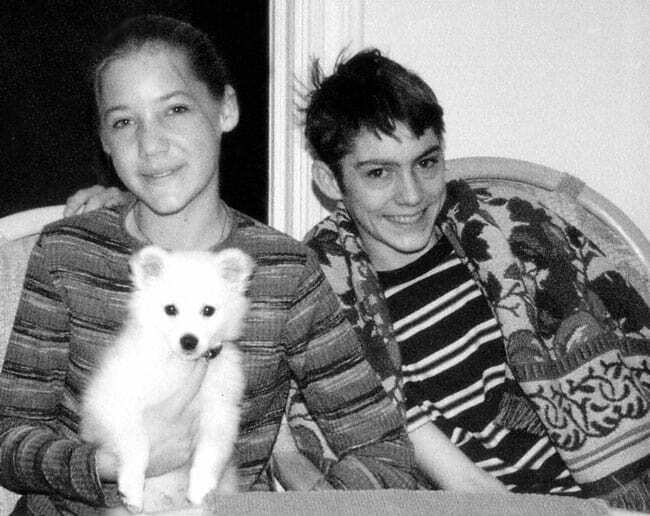 In the end, my older sister, Kimberly was going to be my kidney donor, which she felt a quite assurance from the spirit would be the case all along. She joked that she could use some quiet time to herself, to finally rest and put her feet up from all the craziness that being a mom to 5 kids brings; she said she might even ask if she could stay in the hospital a few extra days! 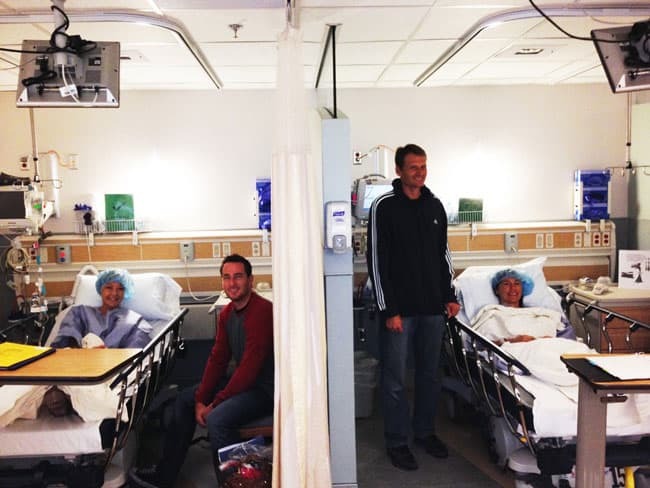 It was special to be all together as a family as both my sister and I prepped for surgery. After my surgery, I was relieved to find Patrick by my side…and no dialysis machine – which means the surgery was a success! I felt amazing right away – giddy with energy and hardly any pain. My sister, on the other hand was in much more pain due to the more invasive surgery in which they have to move everything around to get to her kidney out, which is towards your back. The day after surgery, Kim slowly walked into my room, hunched over on the arm of her husband. She sat down on the guest chair and tried to smile – she did a terrible job. She lasted all but 15 seconds before she was too overcome with pain and had to leave. 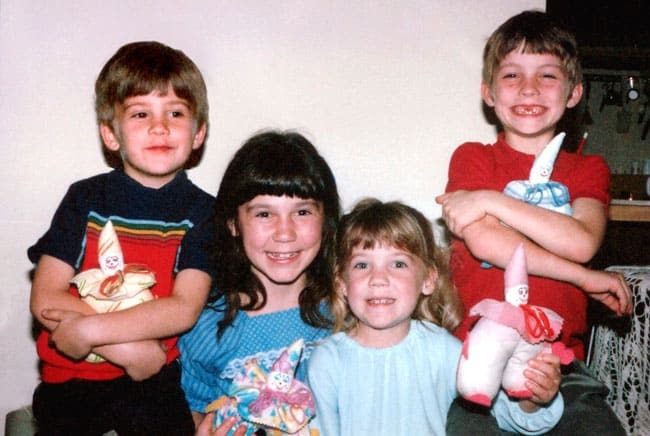 It was so hard to see my sister like this – especially knowing I was the cause of her pain. Yet, she repeatedly insisted she was fine and repeatedly insisted it was an honor to sacrifice for me. After my kidney transplant, I was extra immune-suppressed and knew I wasn’t going to be going back into the commercial real estate office I worked at. As I was pondering what to do, my sister-in-law suggested I start I food blog. 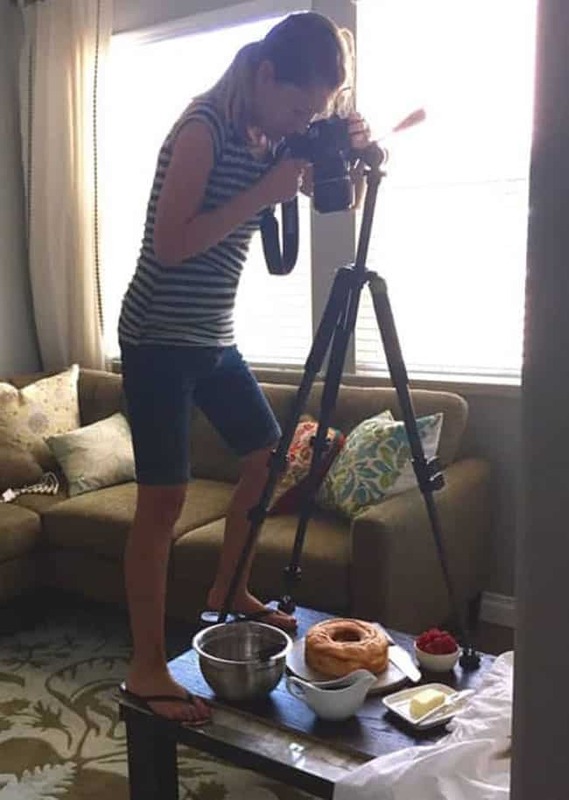 I didn’t know this could be an actual career, but after researching the in’s and out’s, I knew it could be a full-time business, a business that the Lord had been preparing me for, for years – from my love and experimenting with cooking, to my love of photo editing, and a platform to share my story – both my book and my talks -which I call “Soul Food” on my site. This tender mercy in my life was truly inspired and now reaches millions of people every month. I am humbled how much the Lord truly is in the details of our lives. 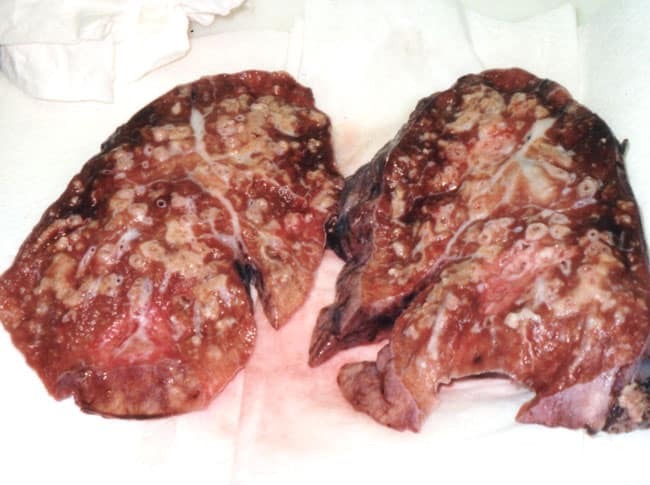 Today, its been over 18 years since my lung transplant. My life has been wonderful, but it has not been easy – but a gazillion times easier with the gospel, the knowledge of the plan of happiness and Christ by my side. I know as we bow our heads to our Father in Heaven, we gain the strength to look up and see the hand of the Lord in the details of our lives – there are MIRACLES and TENDER MERCIES all around us. We just have to choose to see them. 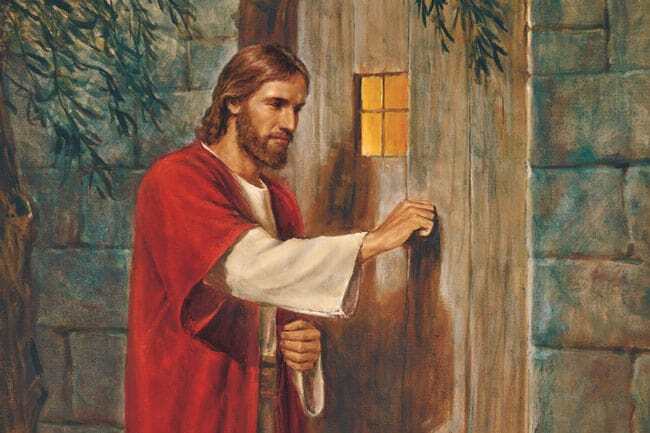 The Lord is always there – it us up to us whether we choose to seek Him and “live after the manner of happiness.” So what will you be willing to do, to give up to KNOW the Savior? To feel him testifying of who you truly are – and how loved you are?